This morning, we waved goodbye to one of the greatest players to ever set foot on a baseball field. 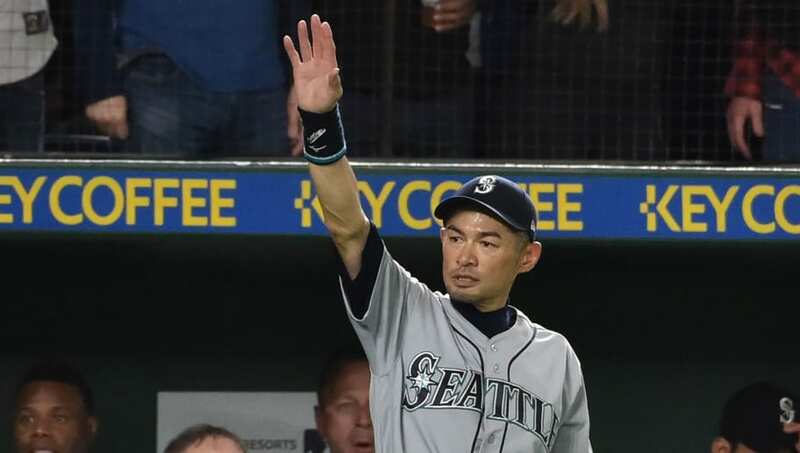 Ichiro Suzuki officially retired today, marking the end of an illustrious career that spanned 18 MLB seasons and featured 10 All-Star appearances, an AL MVP Award, and an incalculable number of sizzling highlights. Let's take a look back at the six greatest moments from Ichiro's legendary career. In his rookie campaign, Ichiro took the league by storm. In 2001, he amassed 242 hits, 56 stolen bases, was selected to the All-Star game, won a Gold Glove, a Silver Slugger, AL Rookie of the Year, and AL MVP all while helping the Seattle Mariners win an MLB-record 116 games. Talk about arriving in style. Just three years into his MLB career, Ichiro etched his name into baseball lore in 2004 when he managed to collect a major-league record 262 hits, the last of which came in the final game of the year on October 1st. He finished the year with an absurd .372 batting average and finished seventh in MVP voting. Ichiro wasn't just an amazing hitter. He was also one of the best defenders in the game, and he made sure that Oakland Athletics outfielder Terrence Long was aware of that when he gunned him down on a ridiculous no-hop throw from deep right field to third base in just his eighth game in the league back in April of '01. This was classic Ichiro. At the ripe old age of 42 and still going strong as a member of the Marlins, Ichiro collected his 3,000th career MLB hit after whacking a triple to right field against the Colorado Rockies. Both the fact that it was a triple and that he made it in standing should remind you that even in his old age, the baseball icon never slowed down. Baseball purists can argue over whether or not Ichiro's hits from Japan should "count" all they want, it doesn't make this moment any less impressive. It's truly awe-inspiring that he managed to even approach Pete Rose's professional total of 4,256 hits, let alone pass it. His double to keep a ninth-inning rally alive for the Marlins marked his 4,257th professional hit was not only an iconic moment for him, but for all of baseball. Here comes the tear-jerker. There's no way this couldn't be his top moment. After 18 years of service in the MLB, Ichiro returned to his native Japan with the team that first signed him to play in front of thousands of adoring fans. As the game slogged into extra innings, Ichiro was removed and treated to an incredible standing ovation. Nobody is more deserving of such a reception than this iconic talent. Say it ain't so, Ichiro! It's tough to say goodbye to such an iconic figure in baseball history, but at least he got to go out in the best way possible: playing for the Seattle Mariners in front of a true home crowd.